Click on the icon over these lines if you want to download OriGn's demo for free. Click to request a quote without obligation. You will just have to explain briefly your needs. Click to appoint a personal online demo. An expert will show you, live and only for you, how OriGn applies to solving your specific needs. Click to request to be called by an expert a.s.a.p. and at our cost. He or she will provide you in an instant with the info that you are interested in. The key to the great productivity boost that companies using OriGn (pronounced "origin") benefit from lies largely in that it assists agents perfectly. 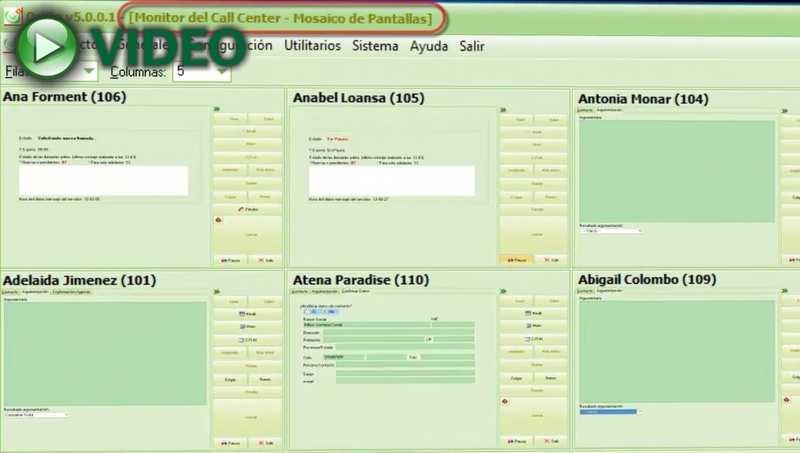 They learn to use our software solution for telemarketing and call centers in minutes as they carry out all their taks from a single place: the Agent Desktop. The following video shows his overall performance when it is being used to make calls in progressive dialing mode, even though it can also work in predictive, multi-progressive and preview dialing modes, as well as for answering calls. You can also watch this video on Youtube or download it to watch it on your computer or mobile device. See the section about the Agent Desktop to know how it works in predictive dialing mode and for receiving calls. A complete softphone that will save you money because it requires just simple headsets instead of expensive telephone terminals. Connection through the main telephony protocols: SIP (Avaya, Panasonic, Alcatel, Ericson, Selta, Siemens, Nortel, Samsung...), Asterisk AMI (Elastix, Trixbox...) and virtual PBXs. Total integration with Asterisk, the most popular and widespread open-source PBX software framework. Directly and specifically, as it allows you to see at once all the Agent Desktops, or one in particular in actual size, to know with what contacts and on what tasks are the agents working, and even to listen to any call by just clicking on a button. 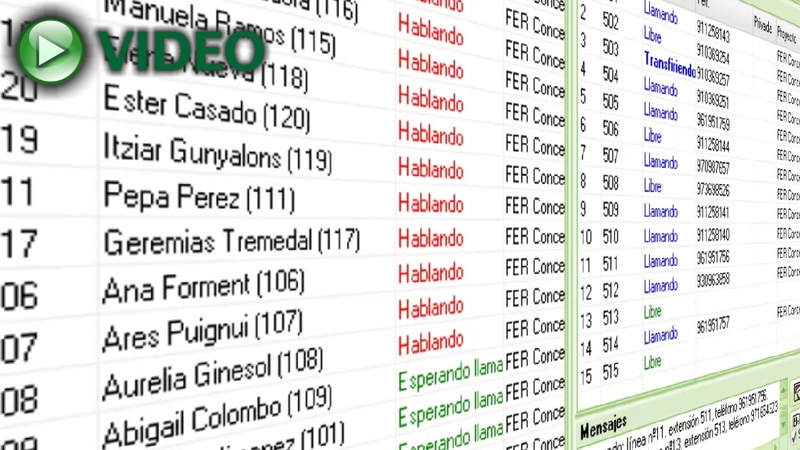 In the following video, you can see a small fraction of the power of the Monitor L!ve, in particular its capacity of showing in real time the agents' screens, in order to observe at a glance what they are doing. OriGn also includes numerous tools to exploit the gathered data as needed, generating reports, listings, statistics, etc., natively or in connection with applications such as Crystal Reports, SPSS, MS Access, etc. 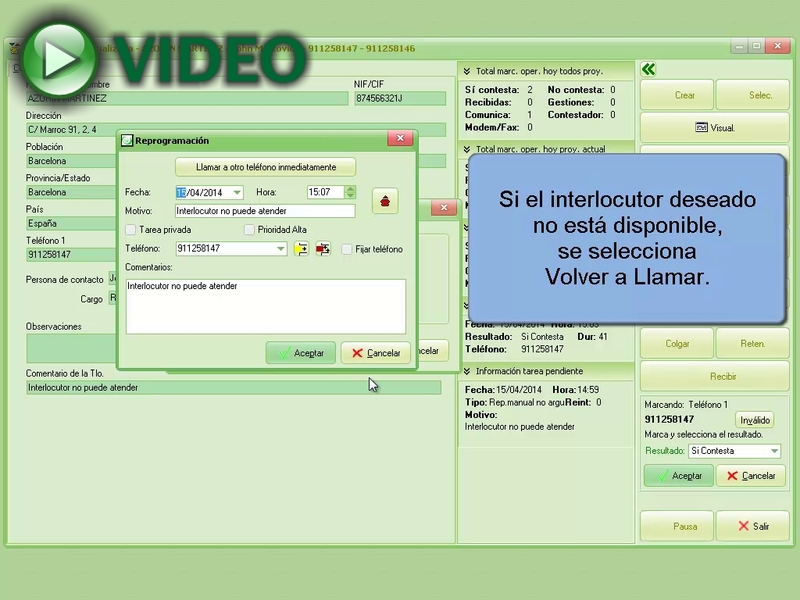 OriGn provides voice recording functions that let you record the fragments of the calls that you require (or whole calls), as well as catalogue and handle them individually, as you can see in the video below. OriGn is also noted for its great versatility and its absolute configurability, so much as to suit your needs as if it were a solution developed especially for you. This is achieved by using tools that allow a visual and assisted development, which minimizes the time and costs spent on this work. OriGn's flexibility will be, therefore, your best ally, whether you benefit from it through the work of our staff, who, for a small price tag, can take care of configuring the operation of OriGn 100% to your requirements, if the activity of your call center is always the same or does not change much over time, or through the use of it by your own staff, if you continuously work on new campaigns or projects. To create as many campaigns as needed. To add new ones at any time. To define the fields of all their entities, especially the contacts'. To create the forms that agents will use to enter the data in the agent desktop. To define their flow accurately and in a manner as complex as required. To export and import contacts even when the campaign is being carried out. All this is done with two powerful tools that are part of OriGn: the Visual Form Designer, which incorporates both a very powerful scripting language and the possibility of programming complex data-entry flows in an assisted manner (without writing code), and the Visual DB Manager. OriGn includes an advanced Predictive Dialer Server, of our own technology that is able to integrate with any PBX. You can see it at work in the video below. Contact geolocation (in order to, for instance, optimizing salespeople's routes). Sending bulk emails and SMS to contacts. A Robinson list for phone number and another for email addresses. An integrated time and attendance system to control the agents. A software solution for telemarketing: Inbound, outbound and mixed systems. 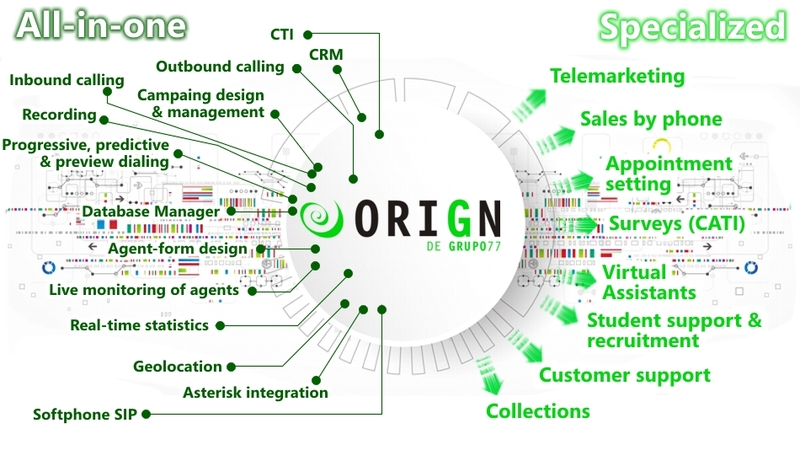 In its role as an application for telemarketing, OriGn allows you to manage as many simultaneous campaigns as necessary, and to establish the coordination systems between them that you wish, both in what relates to the number of lines and agents assigned to each one at any time, and in what has to do with the contacts with which you work. The same agent may even receive calls of multiple campaigns and make calls of a different one. All of this whether the predictive, progressive or preview calling modes are being used. An application for sales by phone: Outbound calling to cold sell any kind of product or service; outbound calling to introduce new products or services to the customer base; potential-customer attention; order taking, entry and management; and any combination thereof, both by phone and/or from a website or email account. A phone survey (CATI) software solution: Sociological surveys, market surveys and surveys and polls of any other kind. OriGn's advanced features as a CATI application will allow you to create any guided data entry flow and to cover accurately the required respondent quotas, however complex they may be. An appointment setting application: This also includes the organization and optimization of the salespeople's schedules, for which OriGn's geolocation capabilities are crucial. A software solution for customer support: And also for similar operations, like member, citizen or affiliate support. 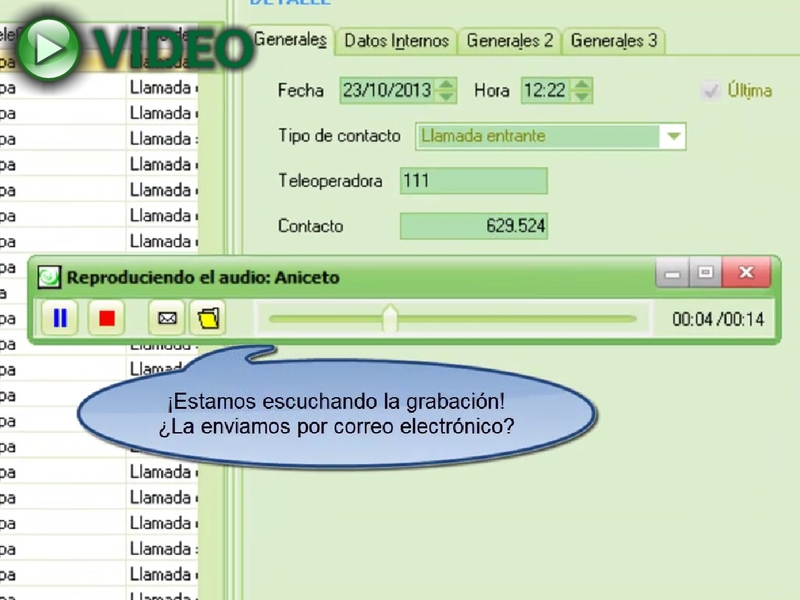 In these fields, the outstanding call recording features of OriGn stand out by themselves. An application for student support: And, at the same time, for student recruitment, in an integrated manner. A software solution for every kind of inbound call centers. A software application for event attendance confirmation: Including the waves of confirmation and reconfirmation calls that you might require, as well as sending and receiving information over the internet, email and/or SMS. Of course, if several of the previous tasks, which are but examples of what OriGn is capable of doing, are conducted at the same time in your contact center, you will be able to manage all of them from OriGn and in as interrelated a manner as you may need, for OriGn is a complete CTI and CRM software solution. 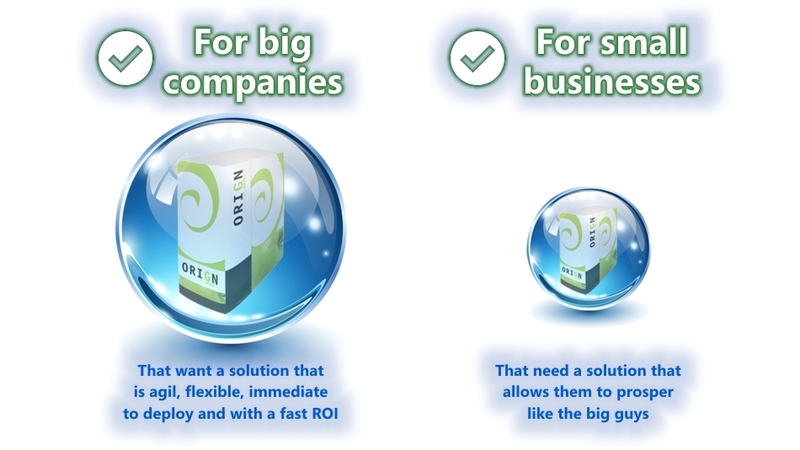 In general, if you need to optimize the organization and operation of a group of people who interact with a given set of contacts via telephone and/or on-line (web, email...), OriGn is the CTI and CRM software solution that will enable you to boost the productivity of your call center or contact center and improve both you service and your results. 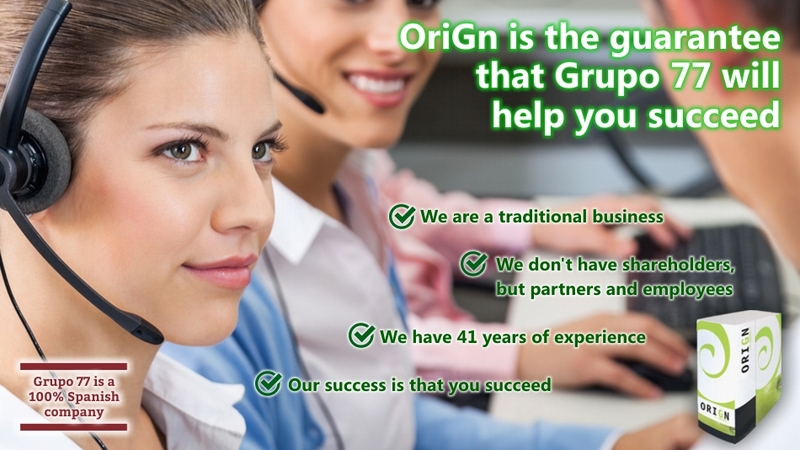 "OrigGn is the right software solution for your call center or contact center, be your activity telemarketing or any other, because it is able to adapt itself to it as necessary." Website created with ItsNotHtml by Grupo 77. If you notice any mistake or have any comment, please write us at webmaster@grupo77.com.